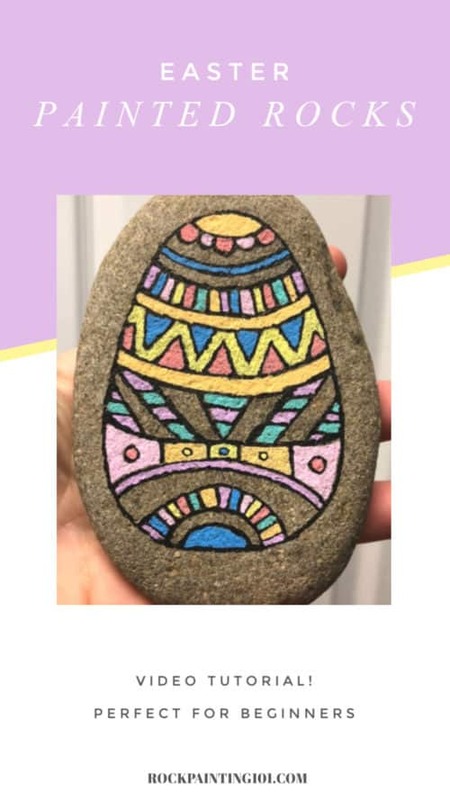 Create this beautiful Easter egg rock painting idea with some fun designs inspired by Mandala art. No two Easter rocks will be the same! On my other website, I’ve been creating loads of Easter crafts for kids and it’s gotten me into the pastel and Easter mood. It’s hard to be in a bad mood when you’re painting with pastel colors. Add in the fact that we got teased with some nice 70+ degree weather, it’s put me in the spring mood. But now it’s gloomy and raining and a perfect day to stay inside and paint an Easter egg rock. 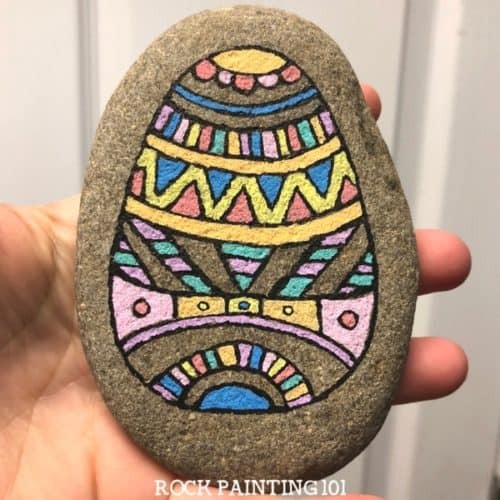 You can grab the pastel Posca pens that I used on this Easter egg rock here. 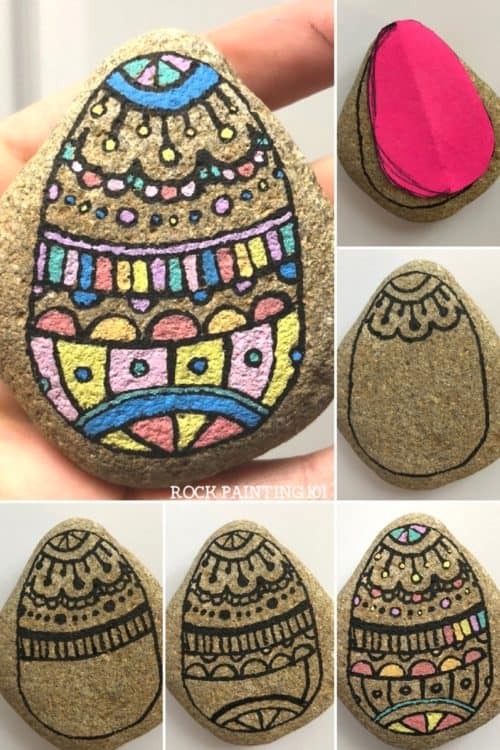 This Easter egg rock has some fun mandala design techniques in it. It does remind me a bit of the mandala heart rock that I painted earlier. 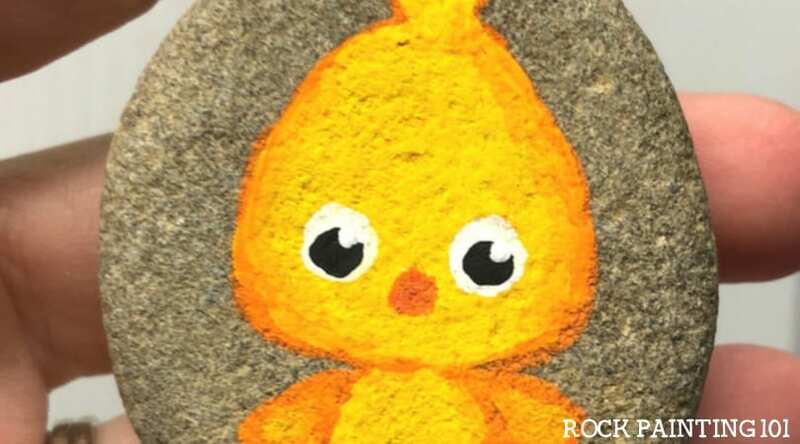 The first thing to do when painting an Egg rock is to create the egg. I use a post-it note to create an egg template. The post-it helps to keep your template in place while you trace it onto your rock. For this Easter egg design, I create several arches going in either direction and then fill the arches with fun designs. This rock is meant to be an inspiration to you. 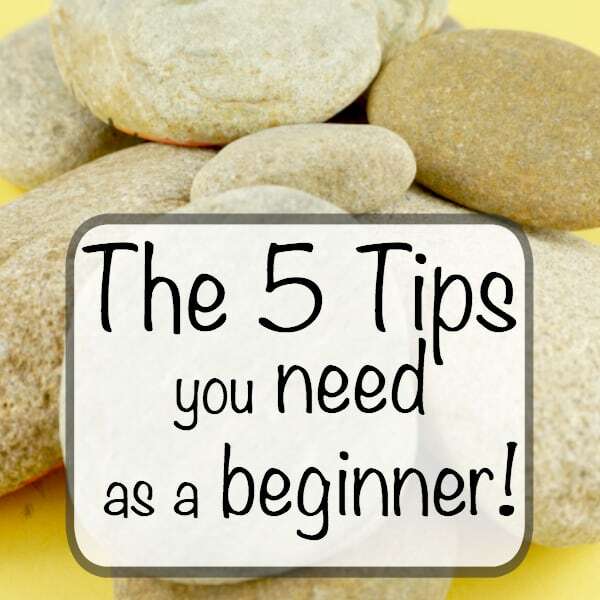 You can take the tips from this video and create a collection of Easter egg rocks. Once you finish your design, you can go in and add all the color you want. 101 Tip! : If you accidentally color over a line, don’t worry! 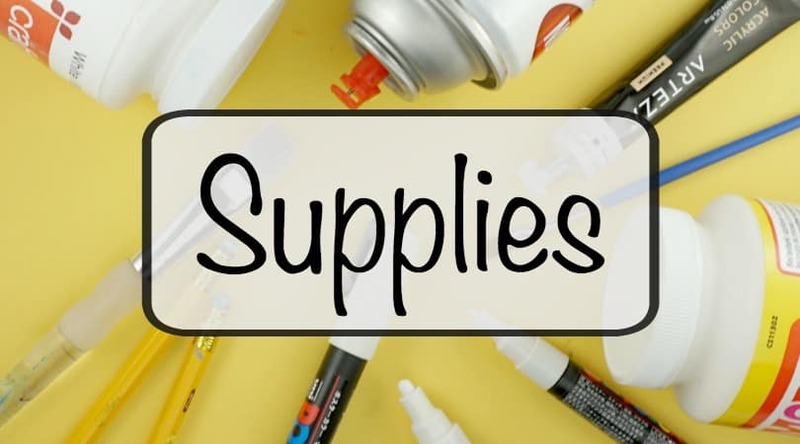 Once the paint is dry, you can go back and re-draw the black lines. If you don’t know how you want to fill the entire egg rock, start adding color. Inspiration may come while you’re coloring. I don’t preplan my rocks, people who make the amazing rocks sit and plan them out. But this rock was completely spurred of the moment. You can choose to plan out your whole design or plan as you go. 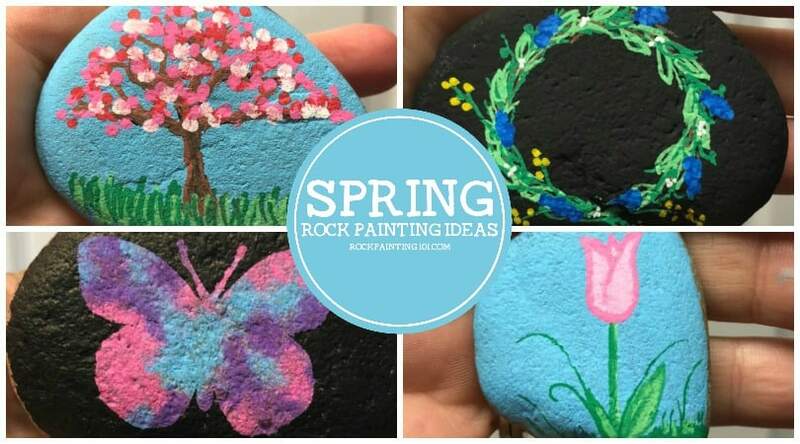 How to paint an Easter rock! 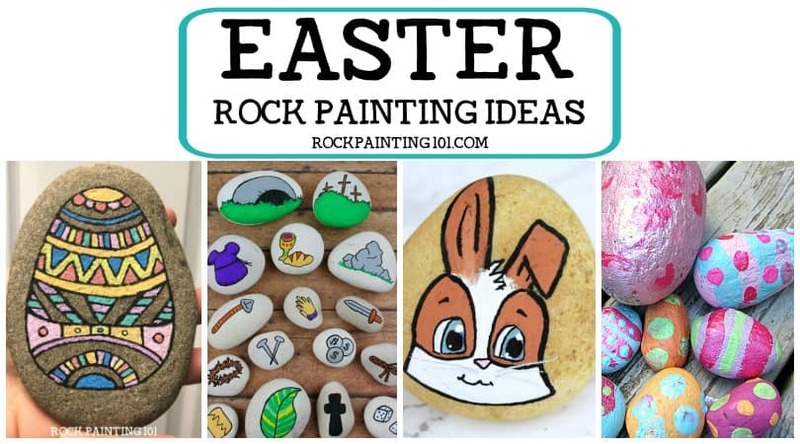 Pin this Easter rock to your favorite Pinterest board!